I am a serious side hustler. That sentence explains a lot about how much I love side hustles. I started another new hustle this week and I love to show others different ways to start a side hustle. If you are someone who believes only in numbers, then you will be surprised to know that more than 44 million millennials have a side hustle. Overall, I feel side hustles are the way to go if you want to improve your life. 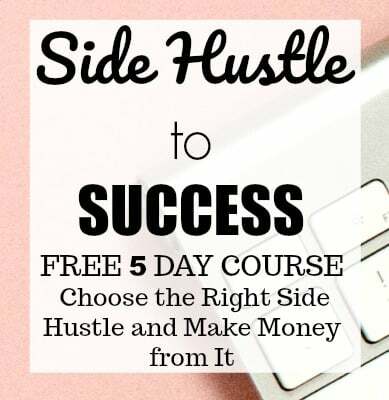 It does not matter whether you are a stay-at-home mom like me or someone who is in between jobs, there are hundreds of side hustles you can choose from. Of course you would want to know my take on this, let me share my personal story about side hustling with you. There are many things I achieved while side hustling but the ones I mention below made a HUGE difference in my life. I am an introvert. I was never on any social media till I started blogging. Putting myself out there was a kind of unspoken fear I had, and I managed to conquer this with my side hustle – BLOGGING. I was surprised at how much I learned and enjoyed interacting with my readers and helping them out. Blogging sure made significant impact on my social interactions and putting myself out there was a kind of win for me. Another thing I would love to mention which made a LOT of difference, was pursuing my passion. I absolutely love traveling and photography, but I never shared my passion with others. It all changed once I started using Instagram to share the things I love. My side hustle expanded my horizons and gave a whole new perspective towards what I could achieve in my life. I am a very driven person. I try to work hard towards what I want to accomplish. But this trait of mine was taken to another level when I started my side hustle. 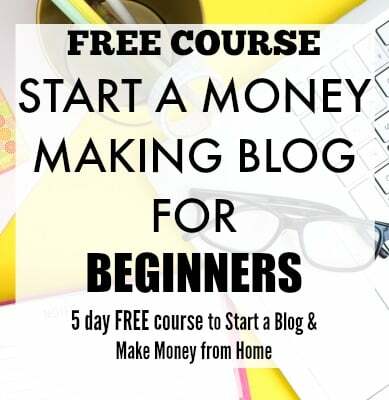 If you are a new blogger, you must know that there are many things you will be handling when you start your first blog, like setting up your social media accounts, blog design, writing content, working on getting traffic, email management, monetizing, etc. This was all too much for me when I started (I never thought I could do it alone), but I did. I always pushed myself a little more to achieve my goals with my blog. If I was having a hard time to write content when kids were awake, I would get up at 4:00 am and get the posts done. Having a work-at-home job with two kids, managing a blog was not easy, but it was exciting because I loved what I was doing. This is the first reason anyone wants to start side hustling. Whether you are doing an extra income side gig or a potential main income side business, it is the money that makes all the difference. My side hustle has earned over $36,000 in just 12 months. Wow!! I cannot believe that. But I surely can vouch for the late nights and early mornings that I have spent on working for this. Side hustle does not mean that it is a sure way to get rich. No. It is a way to earn a good income from something you love doing. I love blogging, and I recommend it to anyone and everyone because of it’s money-making potential. I have always been pretty good at multitasking. When you have an additional job, and you want to be good at it, managing your time is the most important thing. My multitasking abilities got much better after starting my side hustle. The thing is when you work from home whether it is a side hustle or a work-at-home job, you tend to work more. It can become an all-day affair to be at your computer while managing other things at home. But life doesn’t work like that. You need to keep your personal life separate from work if you want to avoid failing at both. The secret to this is being more organized and intentional about working. I recently went on a short trip to New Zealand, and this was the first trip I took where I did not work on my blog. I have to mention, my family was looking forward to this trip for a long time and I wanted to enjoy every moment of it. But I did not want my blog to suffer, I wanted it to run smoothly while I was holidaying. That’s the whole point of an online hustle. Right?! So, I managed to get all the work done before we left and the time spent on my blog was minimal when I was on holiday. What did I learn from this? I have become a lot better with managing my time because of my side hustle. While we are the topic of multitasking, I know many of you will not agree with me when I say multitasking has helped me to grow a lot. It truly has. I am a mum of two kids and I need to dedicate my time to them. I also manage an online hustle along with a work-at-home job. I don’t think to manage all these things 24 hours will be ever enough for me. But I learned to juggle things, and it made the whole situation a lot easier. I know sometimes I have to focus my attention entirely on one task but to get that time to focus on one task, I have to juggle other things. At first, it was all too overwhelming for me, but slowly I managed to work on a couple of things at a time and still be good at it. This has been one of the greatest positives I got from my side hustle. 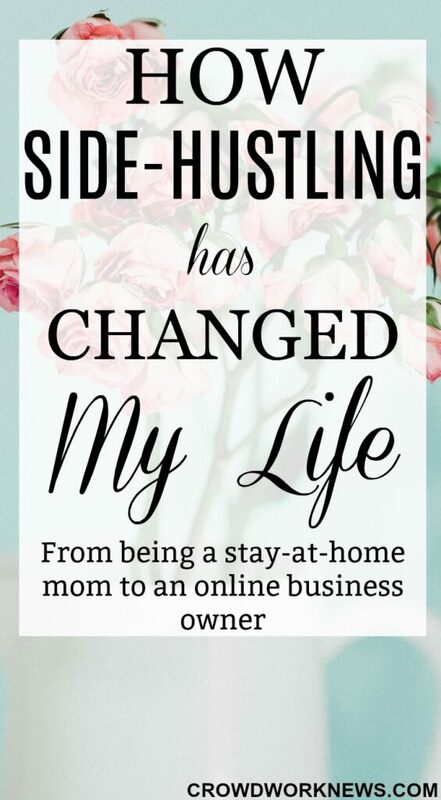 Before starting my side hustle (blogging), I used to help my friends and others to find the right kind of work-at-home jobs or location-independent work options. I personally struggled to find a work-at-home job, and I knew I wanted to help and show others that they can earn a good income from home. Blogging created an outlet for my passion for helping others who were struggling with the same thing I did. To this day, I firmly believe and follow the motto – It is possible to earn good money from home without getting into scams. It does not matter where you are on the globe, anyone can do this. I feel blessed to have met some amazing people in my side hustle journey till now. Having virtual friends might not sound very ‘realistic’, but I believe they have been the most helpful and incredible people I have ever met. These relationships have been beneficial in growing my hustle and have made a significant impact on how I think about people in general. I am a lifelong learner, and my side hustle has helped me to continue this. I firmly believe that you have to invest in yourself to achieve anything in life. Whether it is side hustling or getting a proper desk job or learning a new hobby, you need to invest in learning. Blogging not only has given me the financial freedom to invest and learn, but it has also given me a greater chance to pursue my passions like travel and photography. I continuously learn things by investing in courses or online classes or practicing things my self with new gear. I also invest in growing my side hustle because I genuinely believe that it has a lot of potential. Many of the courses that I have invested till now have been instrumental in my blog growth. I would not have done that if I did not invest in those resources. I have become a better person in a lot of aspects because of my side hustle. The biggest factor is the freedom to pursue the things I love, help others and live a meaningful life. Do you have a side hustle? How has side hustling helped you?